It was on September 3, 2015 that Alberto and his two sisters, Amy and Esther, decided to leave Chiapas, Mexico. For the sisters, it was the first time they had left the town where they grew up — and may be the last time. Alberto and his sisters are no different from the thousands of others like them who must look outside their communities for ways to make a living. Every year, over 100,000 from the Chiapas region migrate internally to find opportunities that are scarce in the Mexican state bordering Guatemala. In Chiapas, 27 percent speak an indigenous language, 51 percent reside in rural regions, and 76 percent live in poverty. The young Amy, Esther, and Alberto, traveled by bus, heading to the northern State of Sonora to work in the agricultural fields. Little did they know that their journey would be intercepted. The bus stopped at an immigration checkpoint in Queretaro, and officers of the Mexican National Migration Institute (INM) began to ask passengers for their documents. Alberto showed his Mexican birth certificate, but he was told by the immigration officers that it was fake. Subsequently, the three siblings were detained and transported to a nearby immigration detention center and placed in deportation proceedings because there were presumed to be Guatemalan citizens, despite their attempts to explain to immigration authorities that they are originally from Chiapas. “We think they detained us because we don’t know how to speak and write, so we were not sure if our birth certificates were OK or not” said one of the sisters, speaking in her native Mayan language Tzeltal during a video interview released by the Institute of Women in Migration (IMUMI), a Mexico City-based nonprofit assisting with the legal complaint against INM following the events of this case. Amy and Esther shared what they experienced while in detention, including the excessive use of force and intimidation tactics by the Mexican immigration officers. Alberto was even subjected to electric shocks because he refused to sign a paper admitting he was from Guatemala. The trend of targeting Mexicans for being “suspected” Central American migrants is increasing due to the escalated enforcement policies of INM, which has prioritized deterring migration flows from its southern border. 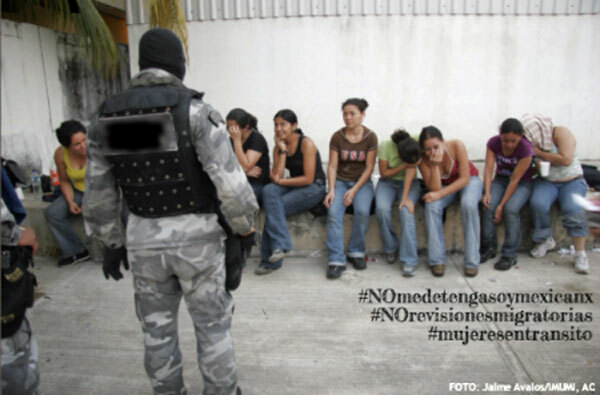 However, such practices are also restricting the right of free movement of Mexicans within their own country. Alberto, Amy and Esther remained in the detention center for eight days, but with the legal support of IMUMI, they were able to evade deportation to a country they have never seen. After their release, the trio returned to Chiapas, unfortunately, along with any hopes for a better future.